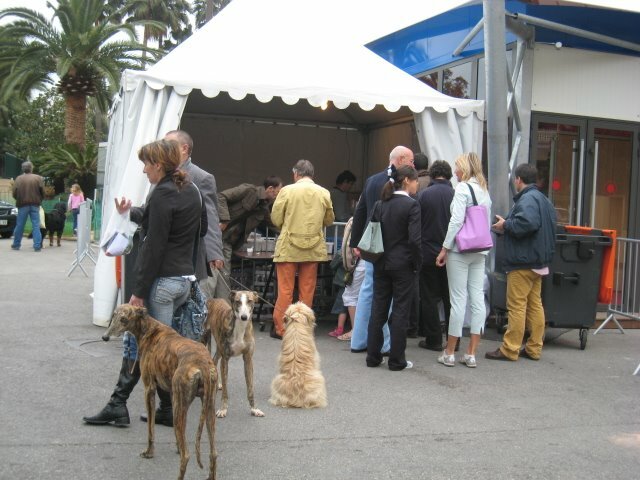 Here we are outside the Monaco Dog Show, which is held in the circus tent. Exhibitors are queuing for a cup of coffee. Dogs are just being dogs - happy to be with their owners. Nice photograph. I like dogs being dogs.